After last night’s Tex Mex dinner I am ready to get back in holiday cooking mode. With my favorite holiday around the corner; I thought I’d take a stab at one of the recipes I’ve really been meaning to try. 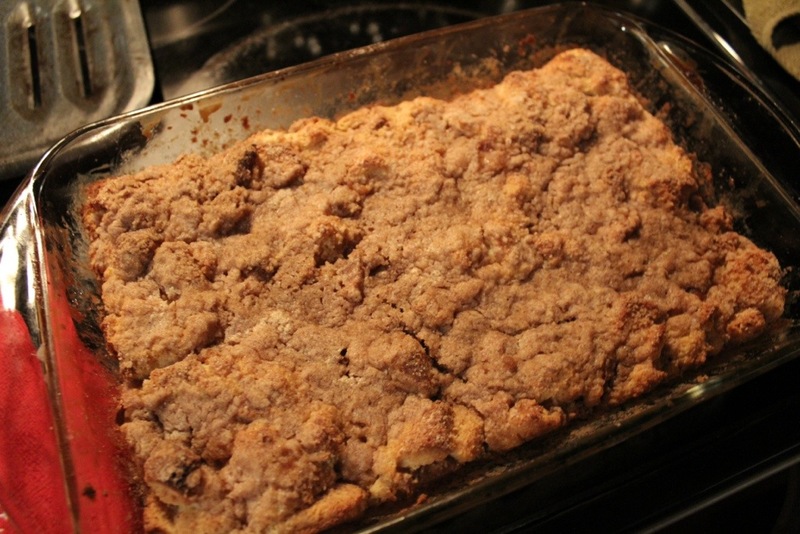 What says Christmas morning more than an Eggnog French Toast Casserole? Best of all, it is super simple and can be prepared ahead of time. Spray baking pan with cooking spray. Cut bread into cubes, and arrange in an even layer in the pan. 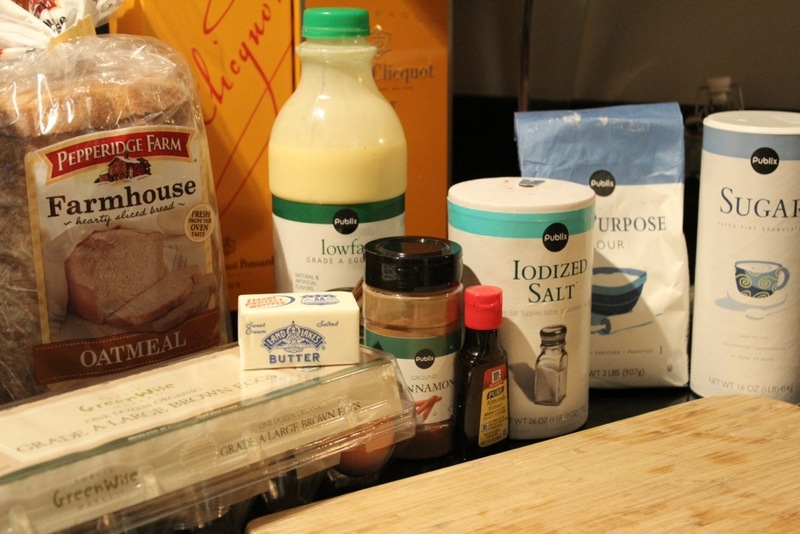 In a large bowl, mix together eggs, eggnog, sugar, vanilla extract, and nutmeg ( I add a pinch of salt as well). Then pour evenly over bread. Cover pan with saran wrap and store in the refrigerator ’till you’re ready to bake. In a separate bowl, mix together flour, brown sugar, cinnamon, nutmeg, and salt. Add butter pieces and cut into the dry mixture using a fork or your hands. Combine until you create small clumps. When you’re ready to bake; preheat oven to 350 degrees F. Sprinkle crumb mixture over the top. Bake for 45 minutes, or until the French toast is set and crumb topping is golden brown. Don’t forget the maple syrup!! The Holiday Breakfast Casserole is awesome!!! Thank you mom!!! I have to make it for you!